It’s always good to see a celebrity using their status to help others. 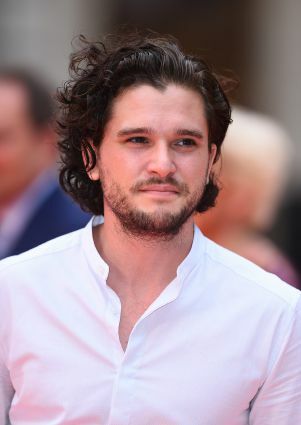 Case in point: Kit Harington, star of Game of Thrones, who wants to enlist your help to ensure that thousands of ‘sleep-in’ carers receive the back pay they are owed after the government revised its guidance. Since 1999, care homes paid a flat rate ”on call” allowance to overnight care staff in residential homes and supported living residences, under advice that time spent asleep did not count as work time for the purposes of the National Minimum Wage. But new guidance in October last year, after two employment tribunals, recognised that the previous guidance was wrong and the Minimum Wage should be paid for sleep time as well. The government, as reported by This Site, has waived historic financial penalties owed by employers who have underpaid their workers for overnight sleep-in shifts before July 26 this year and will temporarily suspend HMRC enforcement activity concerning payment of sleep-in shifts by social care providers until October 2, and it seemed this was a bid to help employers avoid paying up. But the Royal Mencap Society has said it still leaves the sector with a back pay bill of around £400 million – and says the government should pay. This makes perfect sense to This Writer, as it was government guidance that caused the error in the first place. Mr Harington has a cousin with Down’s syndrome and autism and is an ambassador for Mencap. He warned that the bill will bankrupt many charities and bring instability to other providers of the “indispensable service”. In a video created for the charity, he said: “Many of us will be unaware of a vital part of the learning disability sector that provides essential overnight care for the most vulnerable people in our society – 178,000 people with the most serious learning disabilities depend on it. They are called sleep-in carers and they do a fantastic job. “Just having a carer stay overnight in their home makes a huge difference to someone with a serious learning disability. “They are there to support and reassurance just in case there is an emergency, but more importantly they enable them to live a life rather than spending the rest of their lives in a hospital setting. “Because of a government decision to change its guidance on sleep-in payments the learning disability sector is now faced with a back-pay bill of £400 million which is being enforced. “This will bankrupt many charities and bring instability to many other providers of this indispensable service. “This is a reality – the most vulnerable people in our society will be left without care. We need to act – now. Has anyone noticed the similarity between GoT and our political situation? We have Corbybnistas Dany and Jon who want to create a better world for their people, and Tory Cercei who just wants power, no mater what, and is prepared to buy it. There’s even a Machiavellian/Mandelson Little Finger.